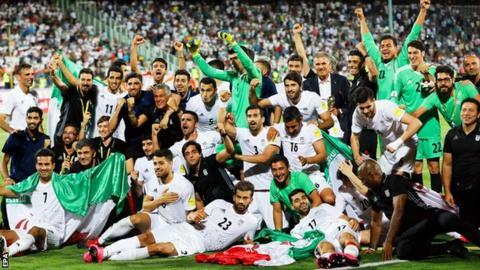 Iran became the second team to qualify for the 2018 World Cup as they beat Uzbekistan 2-0 in Tehran. Goals from Sardar Azmoun and Mehdi Taremi ensured Iran, coached by Carlos Queiroz, will appear at successive World Cups for the first time. Victory meant they opened an eight-point advantage over their opponents, who are third in the table. Five-time winners Brazil were the first team to join hosts Russia at next year’s tournament. The top two teams in each of Asia’s two qualifying groups progress to the World Cup, while the teams in third place go into a series of play-offs.